My girls loved the homemade floam we made a bit ago. 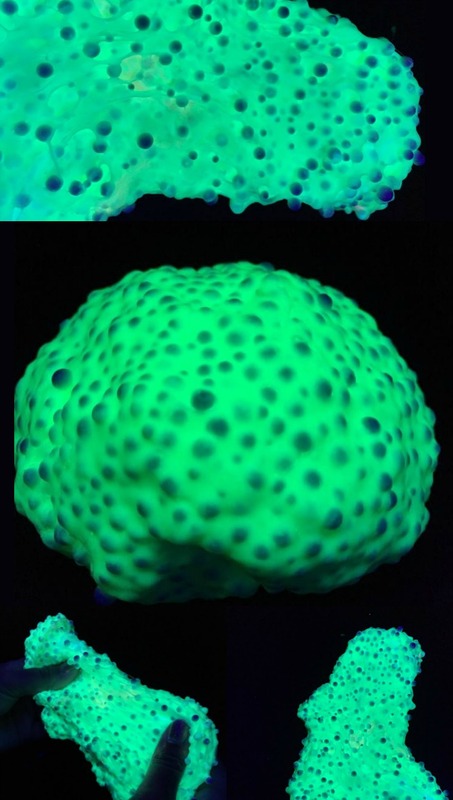 They also love glow in the dark activities. Combining the two made for an epic play time that my girls couldn't get enough of! We made our floam differently than we did the first time, and this new way was so much easier! 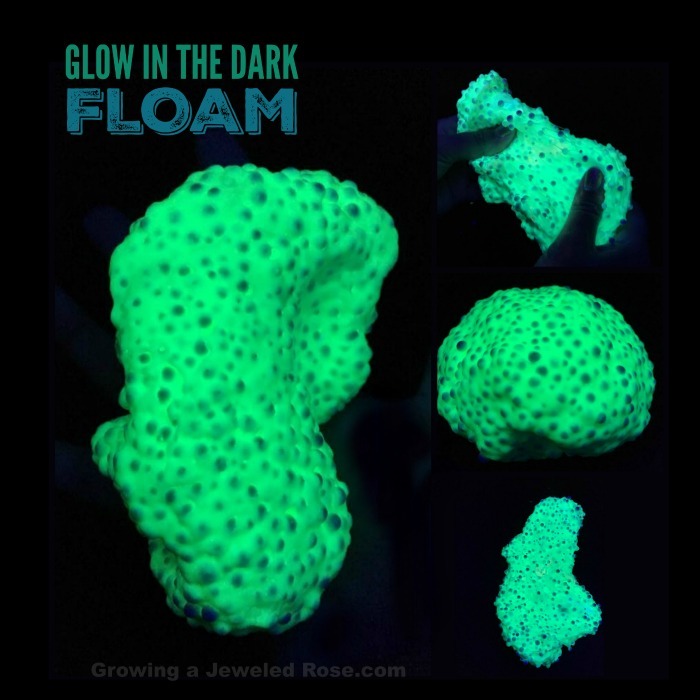 I will definitely be making many more batches of floam using this easier method. 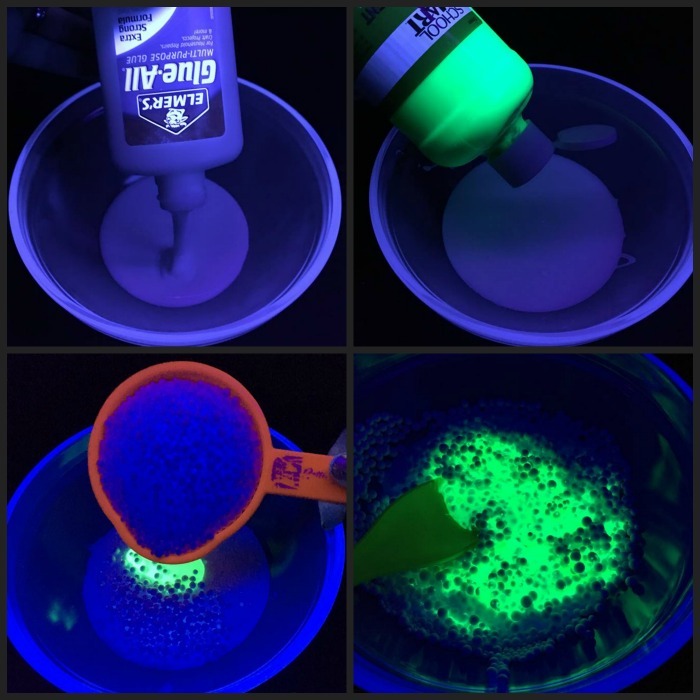 Note: For best results you will want to use a blacklight, as that makes the glow in the dark paint glow much brighter. 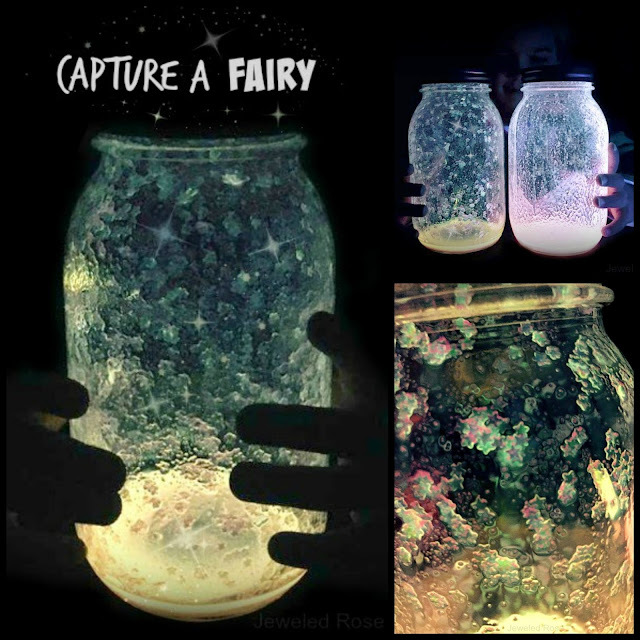 You can use a blacklight fixture or a blacklight flashlight; both work great! See the bottom of the post for more helpful tips. That's it! 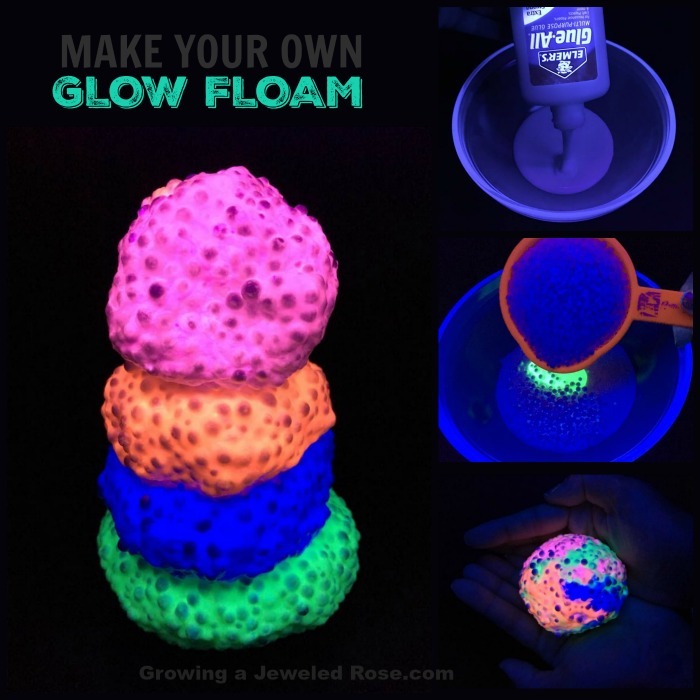 This recipe is SO EASY & floam is SO FUN! 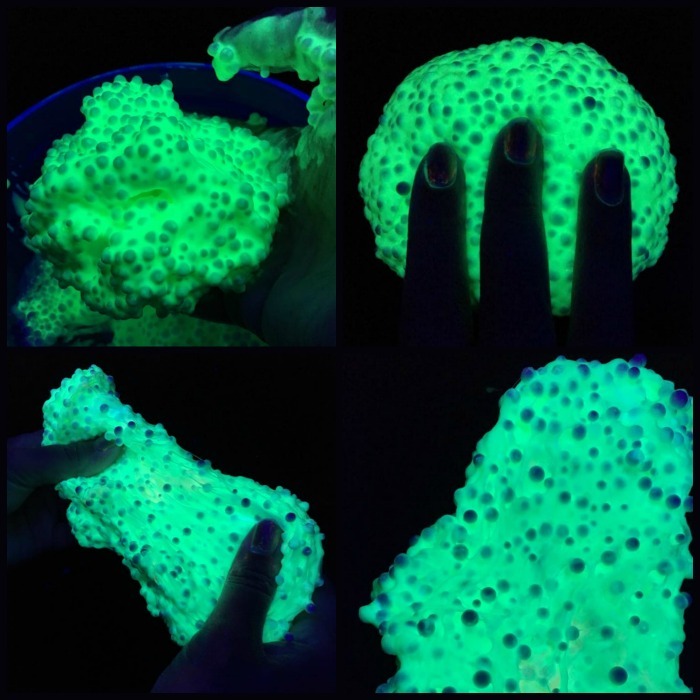 Kids will love squishing, molding, pulling, and stretching their floam! Floam has an incredibly fun texture. 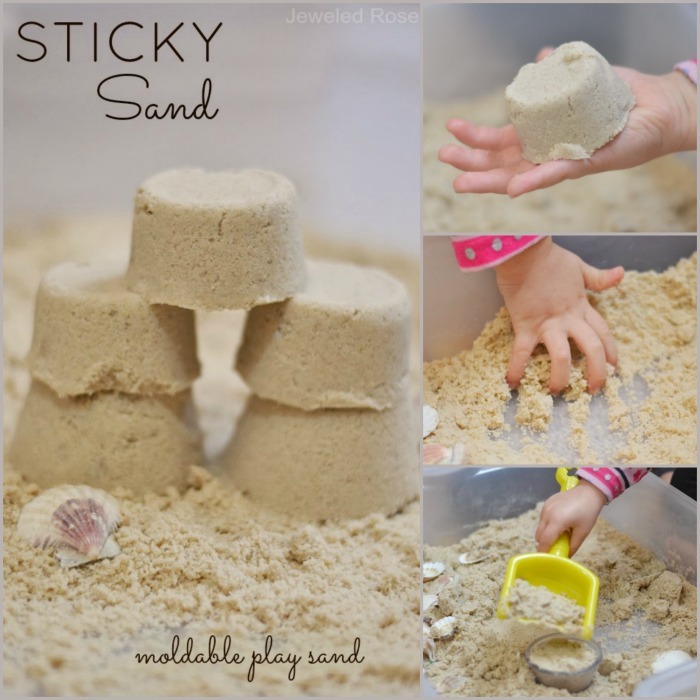 It tickles tiny fingers & hands as kids play. 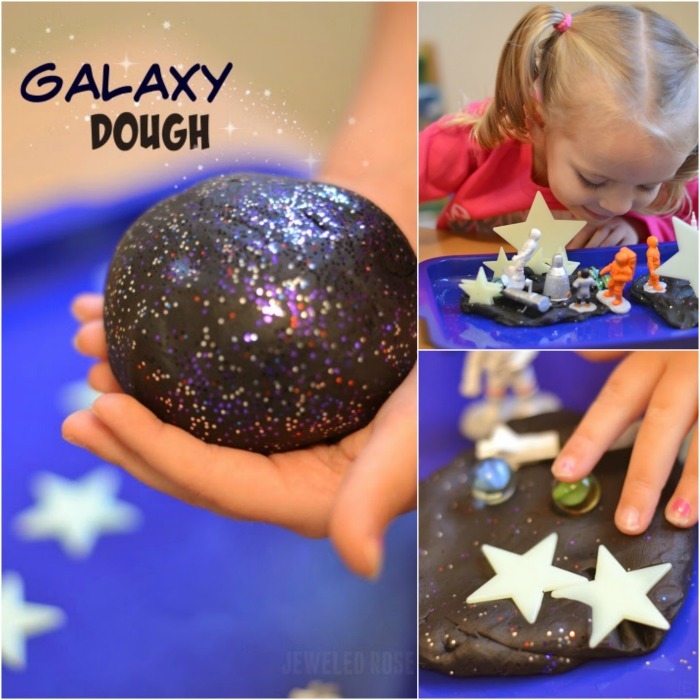 Give kids play dough tools or add other toys, and they will find all sorts of ways to play! My kids loved this floam so much we quickly whipped up another batch, and this time we made scented RAINBOW floam. See how we did it here. Tips & Storage: Store your floam in an air-tight container, and it will last for several months. Polystyrene beads can be found at most craft stores or online here. Liquid starch can be found at Super Walmart stores or online here.